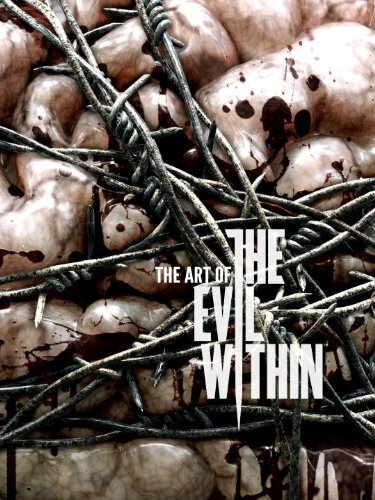 If you're fans of The Evil Within, you'll be glad to know that this is a great companion artbook to the game. This game is directed by Shinji Mikami, the creator of the Resident Evil series. In some ways, this book does feel like a spin-off of Resident Evil. The book's a 224 page hardcover. It's quite thick because the paper is thick, and the good low gloss type. The concept art is fantastic. For the humans in their normal uninfected form, there's really nothing to shout about. But I'm seriously impressed by the 3D renders for the human characters. Yeah, you know that they are still 3D models but they look real good. The infected human form are more interesting. Highlight of the book is of course the grotesque human and creature designs. There's plenty of blood stain, skin lesions, burns, mutation, exposed flesh, and more blood stains. Things like intestines falling out of an open stomach in this game looks pretty mild by comparison. In terms of the gore factor, it's close to Resident Evil. I wonder what it would be like if one day Shinji Mikami decides to create a Resident Evil and Evil Within crossover. The creature and enemy designs are great. There's no shortage of ideas when it comes to designing scary enemies. All of them look great, and by great I mean gross. There's a good mix of 2D and 3D art. I'm not sure if it's because of the PS4, but the 3D rendered graphics for games nowadays are just getting better. The amount of detail for the artworks are incredible. The textures of the skin, veins and meat mesh from the 3D monotone renders are amazing. I actually do not mind if this book shows only monotone renders. The designs are good regardless of whether they are in colour or not. The last section of the book has a generous amount of beautiful moody environment art. They are also painted in great detail just like all other artworks in the book. I can't think of any downsides to this book. Maybe they could have included more commentary. But that's about it. This is a great art book. Highly recommended.